Inspired by the Color Marketing Group’s monthly alerts of new influential colors, Zonavita will be offering one of these new colors every month as a standard option for door and drawer surfaces. 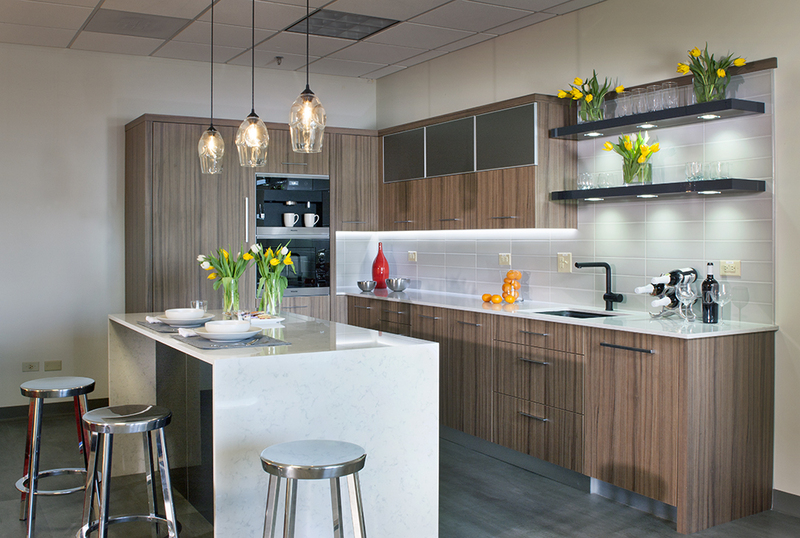 Mixing and matching colors and materials is one of the most unique features of Zonavita cabinetry —along with its best-of-class ergonomics—allowing for the ultimate in style and personalization. The new colors expand our already expansive palette available, and you can see them all here at the Zonavita Colorado showroom. The new colors, chosen by the Color Marketing Group, are based on expert predictions of the most influential colors in the world of fashion, home interiors and automotive design. The Color Marketing Group is the premier international association for color design professionals. The organization’s mission is to provide color forecasting for individuals and organizations that design and market color in their products and designs. We’re proud to be able to offer these emerging color trends to our customers here at Zonavita Colorado. Formica Corporation has partnered with iconic potter, designer and author Jonathan Adler to create nine dynamic, new designs exclusively for Formica’s 2015 Residential Line. And they’re now available on Zonavita cabinets! Lacquered Linen, inspired by mid-century modern furniture is available in four colors: green, orange, charcoal and crème. It features a glossy finish for a new spin on a classic texture. Malachite, inspired by precious stones and patterns of the 60s and 70s is available in crisp blue and a subtle charcoal, both with a glossy finish. Greek Key, a timeless motif made modern with bold color and scale, is available tone-on-tone with a matte finish in orange, blue and charcoal. Jonathan Adler is the author of four books and currently operates more than 25 retail locations worldwide, dedicated to bringing style, craft and joy to people’s lives. His philosophy? Build a timelessly chic foundation, then accessorize with abandon. Stop by the Zonavita showroom and see these beautiful patterns and colors for yourself. 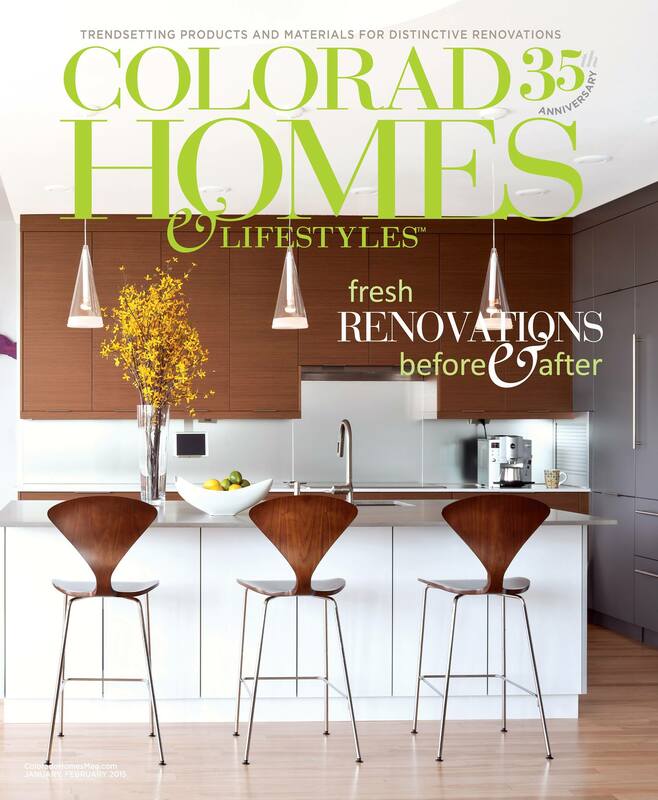 We were honored to see a stunning, new Zonavita kitchen on the cover of 2015’s opening issue of Colorado Homes & Lifestyles. 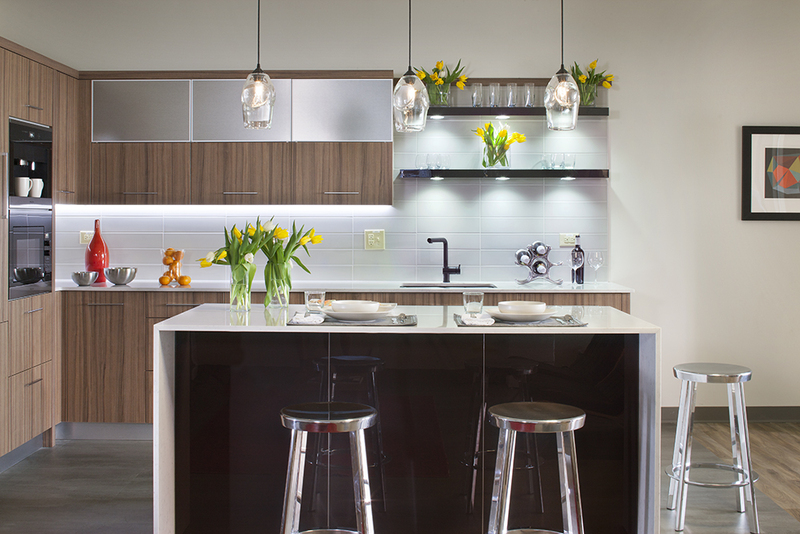 The kitchen was part of a LoDo condo renovation designed by Cecelia Tanoni. In addition to the cabinetry, Kitchens at the Denver provided additional technical support for the project to assure that the kitchen met the high expectations of the homeowners. Zonavita cabinets were also featured in the beautifully remodeled bathroom. CUSTOM OPTIONS. FUNCTIONALITY. SPACE UTILIZATION. IMPROVED CIRCULATION. BEAUTY. 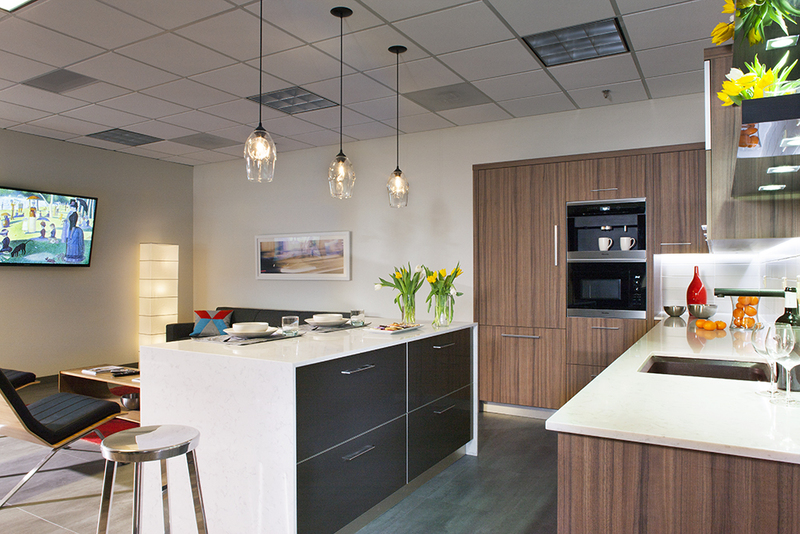 These were just a few of Cecilia Tanoni’s remodeling objectives with a unit at The Delgany Lofts in Denver. But there was an even bigger challenge that Tanoni, Interior Designer at Cecilia Tanoni Interiors, needed to tackle. 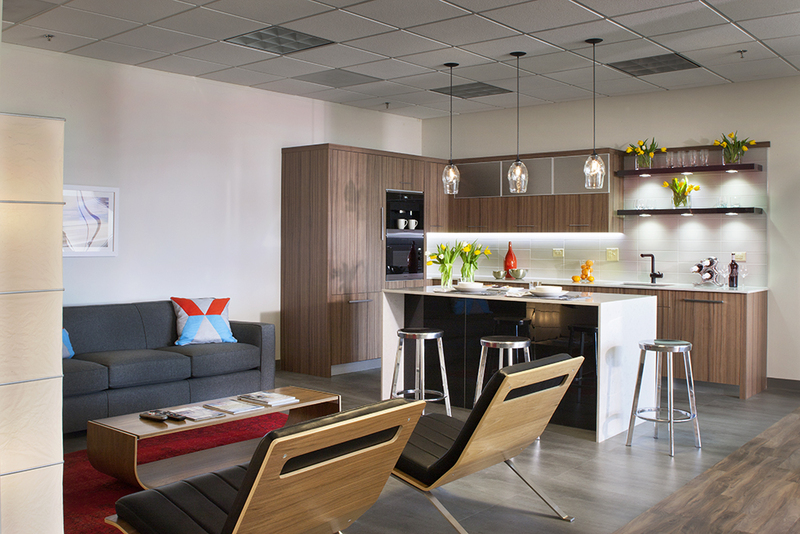 Be sure to register to attend Modern in Denver’s first annual Fall Social, Thursday, November 21, 5:30 – 8:00 p.m. here at the new Zonavita showroom at Kitchens at the Denver. The apple-themed event will offer crisp and delicious conversation, great networking opportunities and apple-themed drinks and appetizers. And if you haven’t toured the new Zonavita showroom yet, this will be your opportunity to see this amazing line of modern kitchen cabinets and kitchen storage solutions. Among the many innovative features that make Zonavita cabinets so unique is the Blum lift system available in the upper cabinets. The electronic AVENTOS lift system can open doors with just a light touch and re-close them by simply pressing a concealed button. Built using an ultra-quiet motor, the touch-based opening and closing makes it easier to work in your kitchen space while you handle dishes or prepare food. It’s pretty cool, so stop by the showroom and let us give you a tour of this unique feature along with the many other super-innovative, lifestyle-enhancing features that Blum brings to the extraordinary line of Zonavita modern cabinetry. In addition to Zonavita’s sophisticated, modern design and remarkable level of customization, the beauty of this remarkable product line can only be fully appreciated when you open up the drawers and doors. There you’ll find the most intelligent storage solutions and kitchen-enhancing accessories by Blum. For more than 60 years Blum has been manufacturing superior quality hinge systems and drawer runners, storage solutions and lift systems that enhance user convenience in the kitchen. With every product, Blum develops solutions to ensure that cabinet doors and drawers open with ease, close softly and effortlessly, and make workflow and every day kitchen use easier. By incorporating Blum components into the Zonavita line, we are able to help homeowners create a modern, ultra-functional kitchen that maximizes space and eliminates clutter. As always, Zonavita has to be seen to be believed, so stop by our beautiful new showroom any time, or call us at (303) 640-4555 to schedule your own personal tour. 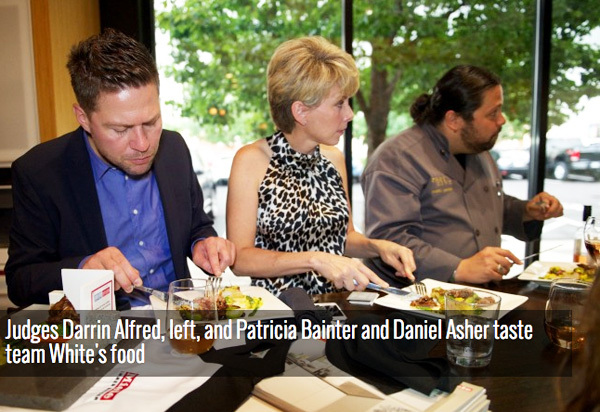 By all accounts, the 2013 Culinary Design Challenge on August 8th at Kitchens at the Denver was a huge success. We were especially proud to be able show off the (nearly) complete Zonavita showroom during the cocktails and networking time. The looks of amazement at the Zonavita cabinets, their beautifully diverse surfaces and innovative features was rewarding to observe. Check out the photos from this wonderful event. The Culinary Design Challenge was a fundraiser for We Don’t Waste, a non-profit organization that distributes nutritious, restaurant grade food to vulnerable populations, based on the dual responsibilities of finding solutions to hunger and reducing food waste. All teams were given the same set of ingredients consisting of items such as ground buffalo, duck breasts, broccolini, stilton and goat cheeses. Each team worked under the direction of its chef to produce an entree which was then evaluated by the panel of judges: Darrin Alfred, Daniel Asher and Patricia Bainter. Rachel Folsom of Luxe served as the emcee and announced the winner Elise Wiggins and Team RED. 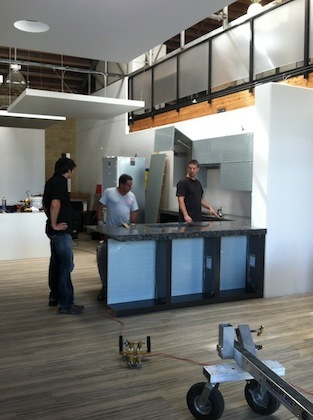 Nearly all the new Zonavita cabinets are in and installed, as well as some of the appliances. Lighting is next as some very cool countertops make their appearance too. We’re excited about the amazing Blum cabinet accessories that we’ll be outfitting the cabinets with. The vision for the most innovative modern kitchen design source in Colorado is moving at full speed. 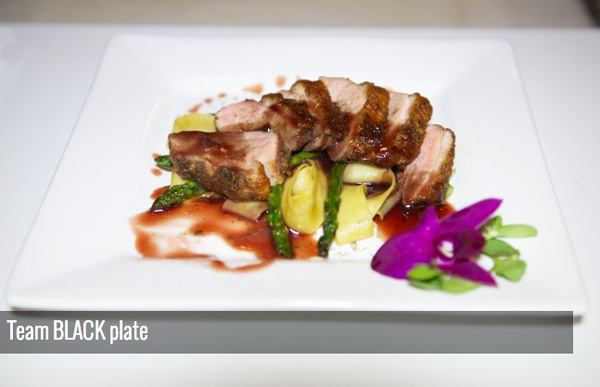 We’re not ready to show it off quite yet, but when Kitchens at the Denver hosts the 2013 Culinary Challenge on August 8th, it will be ready.